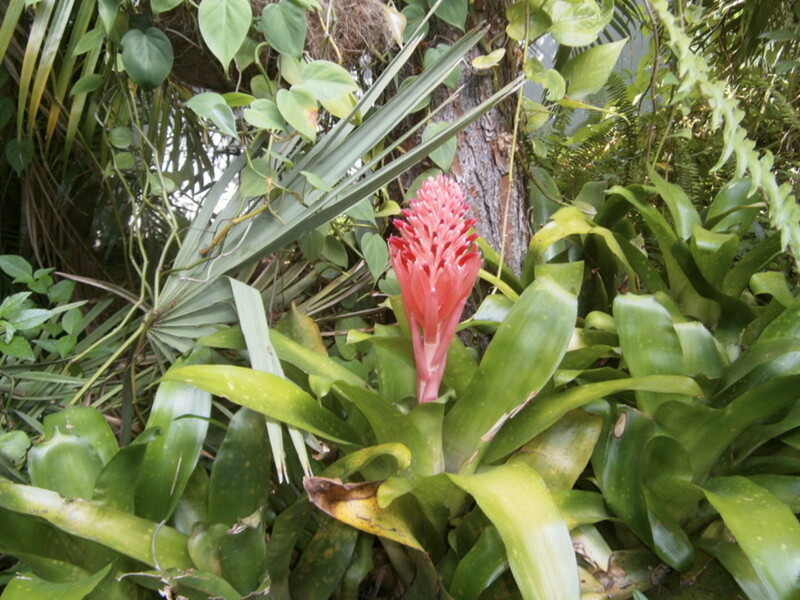 The Bromeliad is one of my favorite flowering plants. It is so easy to grow, care for and transplant. I had never grown this plant until one day about three years ago, as I was driving along the road; I spotted some men dumping plants on the side of the road for the trash collector. I stopped and inquired what they were doing. One of the yard men said they had been instructed to clean out the bed of Bromeliads in the owner’s yard, because they were too thick. I could see some of these green broad leafed plants had very pretty red spiked blossoms. I was fascinated by these beautiful plants that were doomed. With the work men's permission, I quickly began to load as many of the plants into my trunk that I could. After I got the plants home, I really didn't know what to do with them or where or how to plant them. I called a friend of mine who knows much more about plants than I do to come and look at my haul. She told me they were Bromeliads. She had some in her garden, but would like some more. She asked if she could have a few of the ones I rescued. Of course, I’d be happy to share. She took about 15 plants and left me with the rest which was about 25 plants. 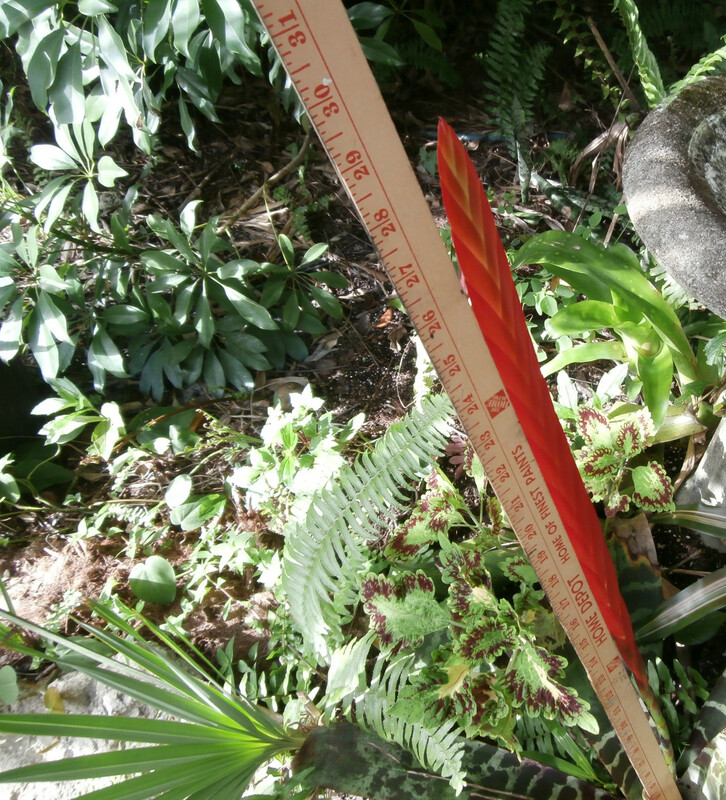 She stayed that day and showed me how to place the Bromeliads in my yard. The yard men had just pulled the plants right out of the ground, leaving very little roots. “Don’t worry about that,” she said, as she laid the plants on top of the ground. She got some potting soil and just barely covered the plant’s root system (or what was left of the root system). We did not even dig holes for the plants. I stood in wonder, thinking these plants would never grow. I was wrong about that. None of these plants died as a result of this handling . After a year or so, I found myself thinning out my bed of Bromeliads and looking for friends that wanted to share. Bromeliads multiply very fast. A little “pup” will appear at the base of the plant, and that cycle repeats until you have many, many plants. The foliage of a Bromeliad can have many different shapes, from needle thin to broad and flat, symmetrical to irregular, spiky and soft. Leaf colors range from maroon, through shades of green, to gold. Varieties may have leaves with red, yellow, white and cream variegations. 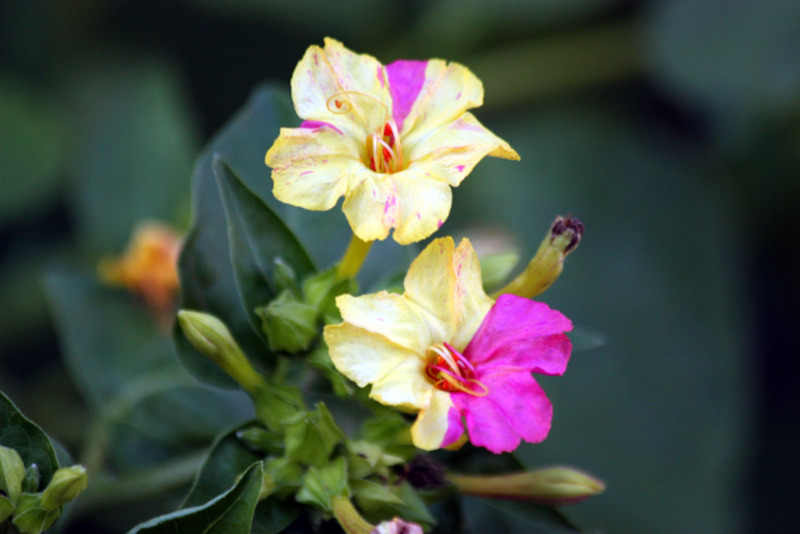 Others may be spotted with purple, red, or cream, while others have different colors on the tops and bottoms of the leaves. If the Bromeliad never bloomed, just the foliage alone would be enough to make me love this plant. Some flowers have flower spikes that may reach 10 to 12 inches tall while others only measure 2 to 3 inches across. Upright stalks may be branched or simple with spikes retaining their color from two weeks up to twelve months, depending on species. 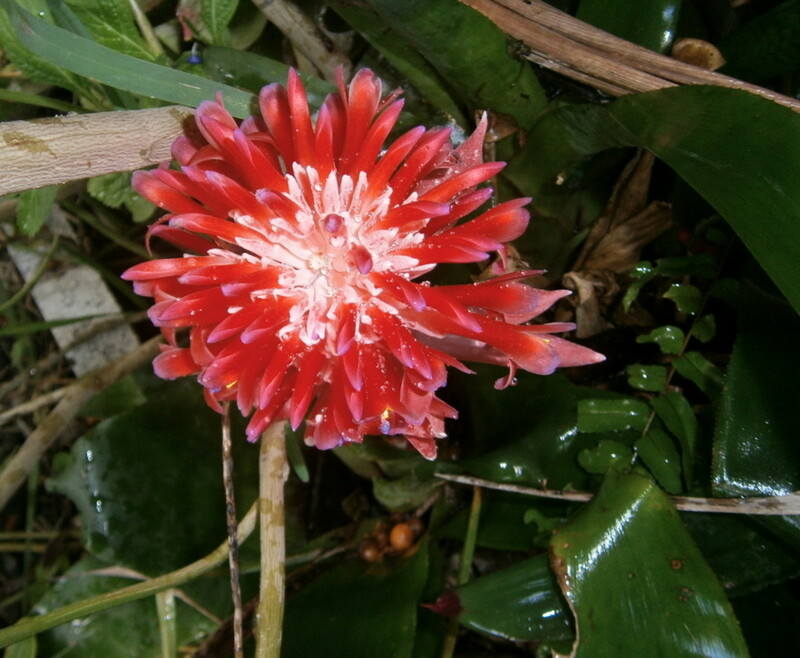 In some species the flower grows deep in the base of the plants, and is almost unseen. The blooms on my Bromeliads last for about three weeks. I have several different varieties in my yard. 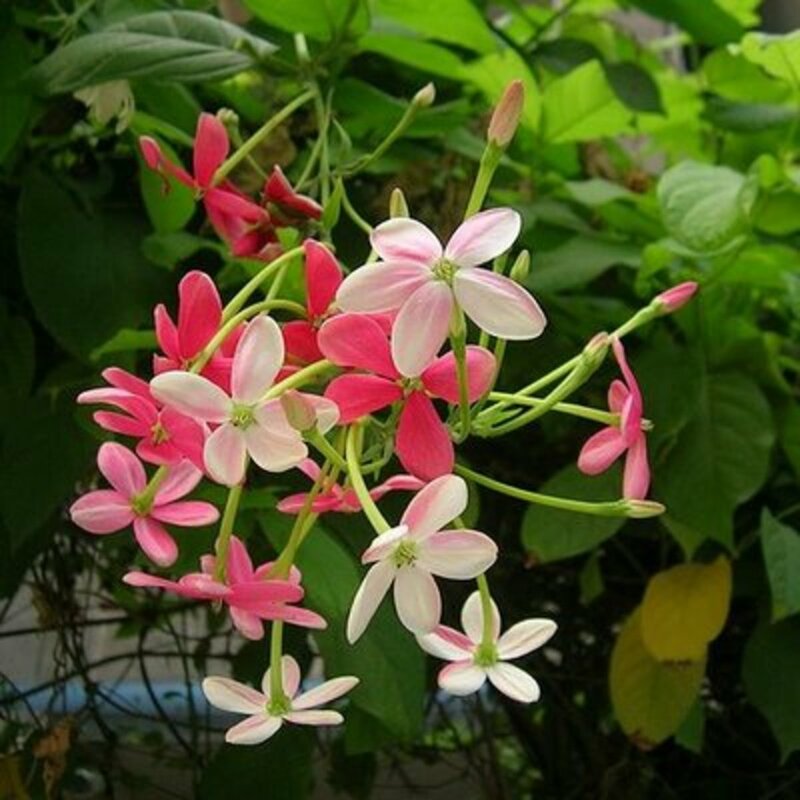 One is a pinkish color and is the kind that tiny little white flowers grow deep in the base. 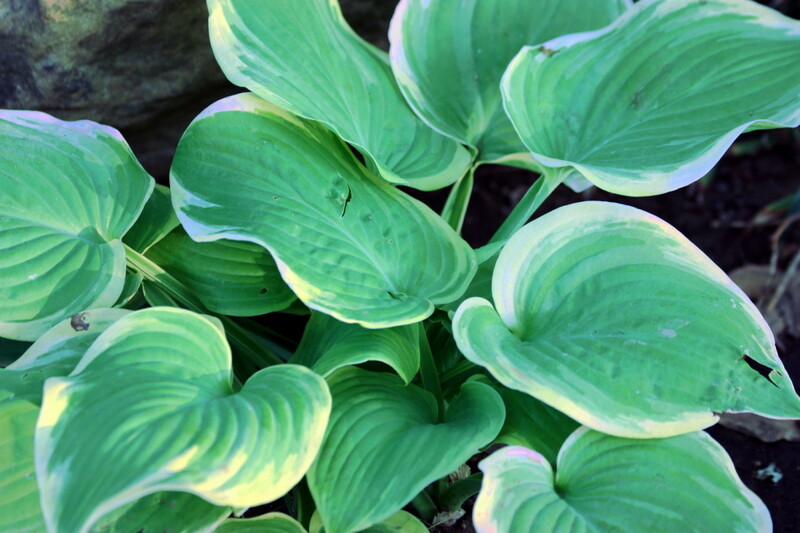 The other type has the broad green variegated colored leaves that bloom with the spike. Water collects down inside the Bromeliad. In fact, my friend advised me not to water the soil around the plants, but rather, place water into the “throat” of the plant. I have seen tiny little tree frogs living inside the Bromeliad. I mounted a Bromeliad on a piece of driftwood that is supported by a piece of screening. It has NO soil, but thrives and blooms. 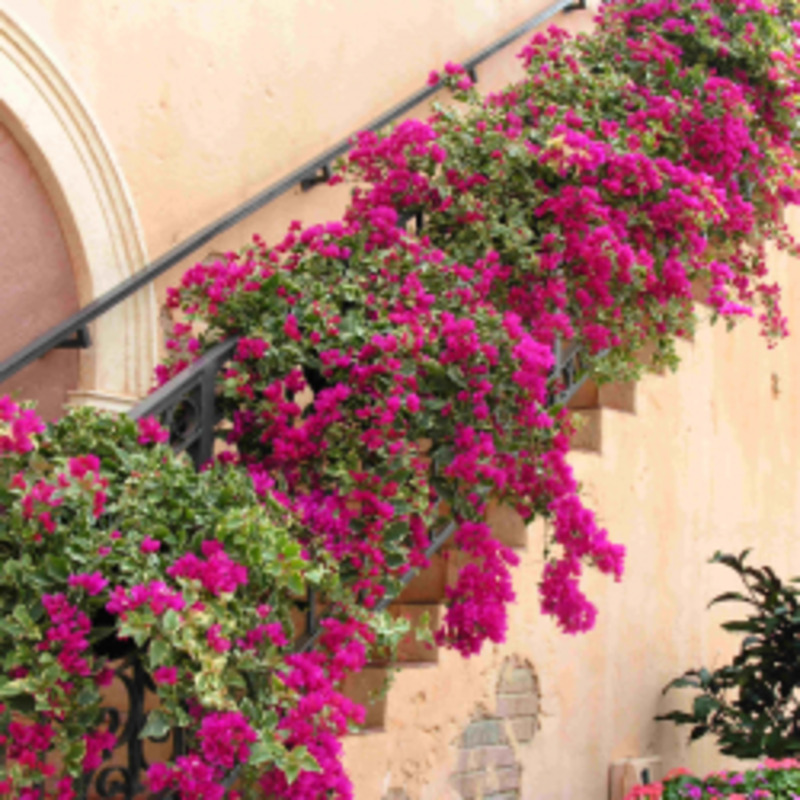 These plants seem to like warmer dry climates, in Central America, the southern United States, and Arizona. They thrive here in Florida. We do have some cold weather here. It can get down in the 30's for short periods of time, but my Bromeliads have never died from the cold. I don't think they could survive in the northern part of the United States, though. They don't mind sandy soil such as I have. I grow most plants in containers because of my poor soil. I have to say, Bromeliads are a pretty tough plant! 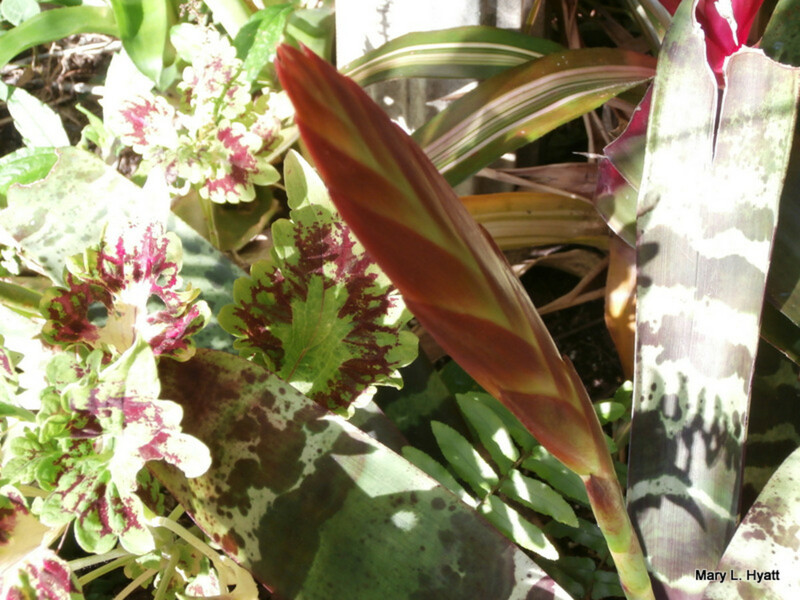 When you first see the Bromeliad’s bud, it is such a thrill. You can watch it day by day as the spike gets taller and taller and it becomes a full bloom. The most common mistake people make is over watering. 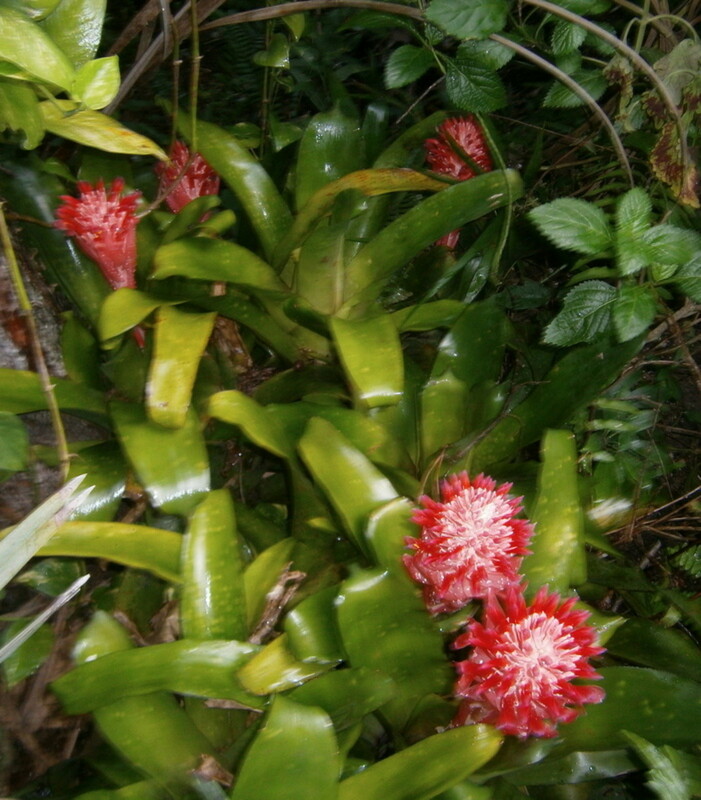 It is often assumed that because Bromeliads are tropical, they need a lot of water all of the time. It is true that many bromeliads like humidity, but they do not like their feet wet. If the soil remains constantly wet, the roots will likely rot, ultimately killing the plant. To avoid this problem allow the potting media to dry before adding more water to the throat of the plant. Even if it appears dry on top, it may be retaining water farther underneath the surface. Stick your finger into the pot or ground and check a few inches down to make sure the potting media feels dry. If you are unsure, err on the side of not having enough water. 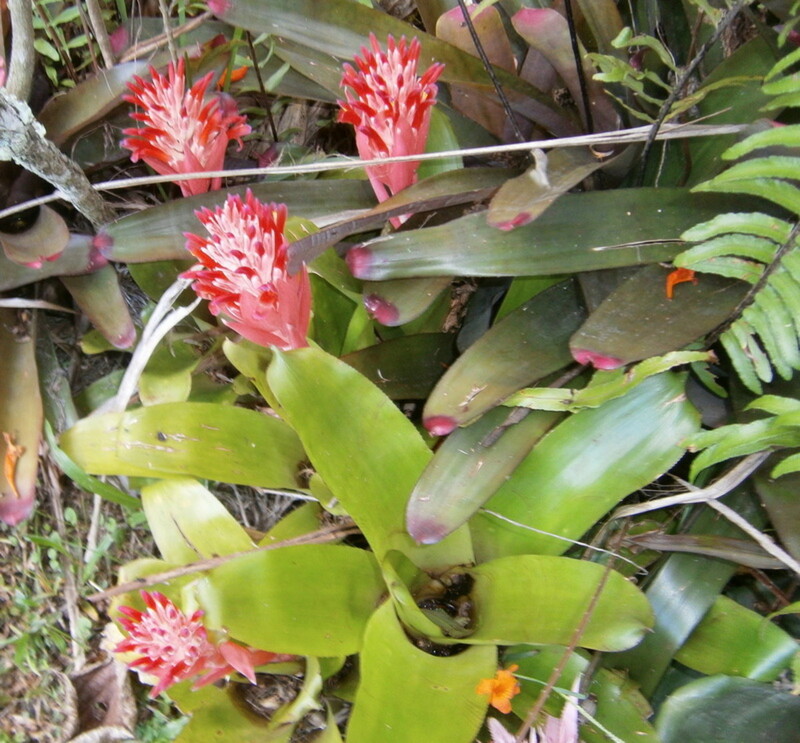 Most bromeliads can tolerate drought. They will not thrive and grow in consistent drought, but they are less likely to die of drought than rotting. 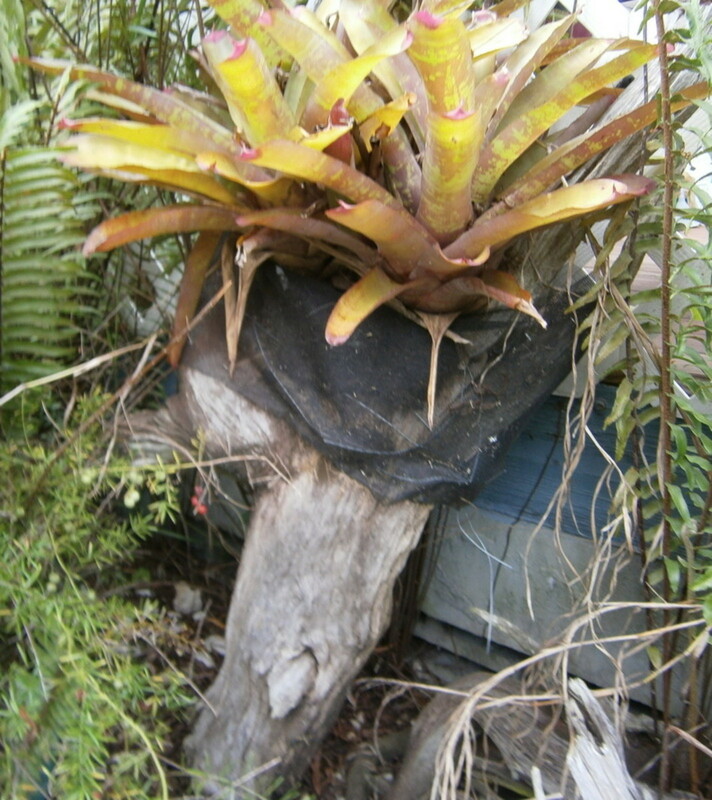 Bromeliad’s roots act as anchors and do not grow very large. 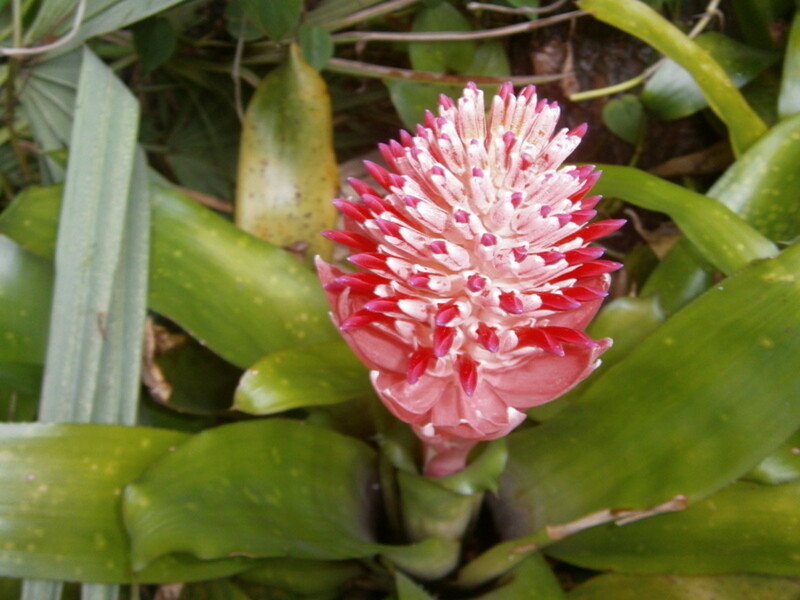 A small pot, between four and six inches will be large enough to hold a single Bromeliad. Using a pot that is too large for a Bromeliad will result in the potting media retaining too much water and the Bromeliad will suffer the same consequences as overwatering. The roots are likely to rot causing the plant to die. When you plant a bromeliad pup, or offset, in a small pot, you may need to stake the pup until it has developed sufficient roots to remain upright on its own. If you want to grow a Bromeliad indoors, don’t use regular potting soil because that might hold too much moisture. Instead, use a soil-less mixture that will allow drainage in the pot. This mixture usually can be found in garden centers and plant nurseries. If you see a house with lots of Bromeliads growing, you can probably ask the homeowner for some plants. Chances are they would love to share, as all gardeners love to share their plants for others to enjoy. Just ask. 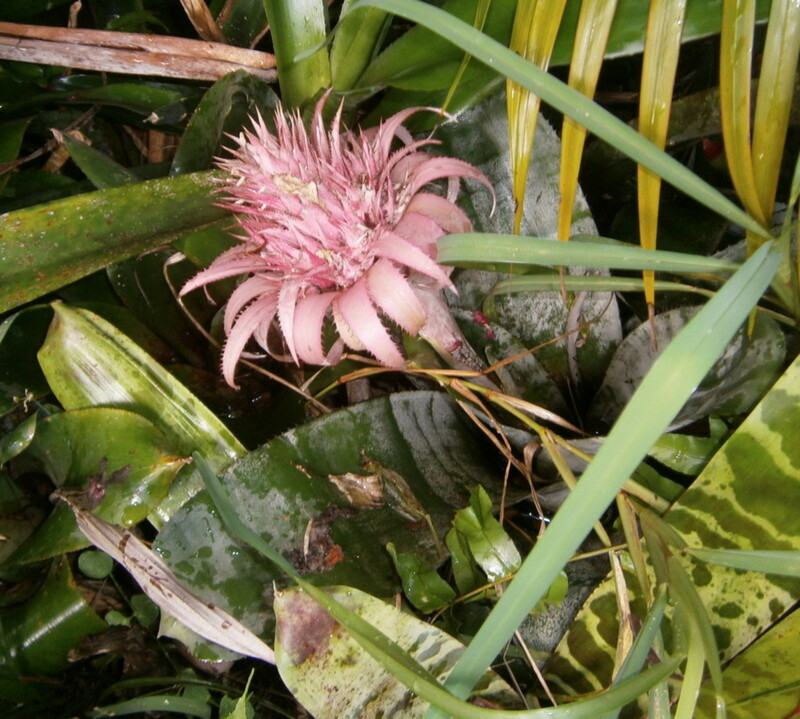 If you would like to learn more about Bromeliads, visit the site of the Bromeliad Society. 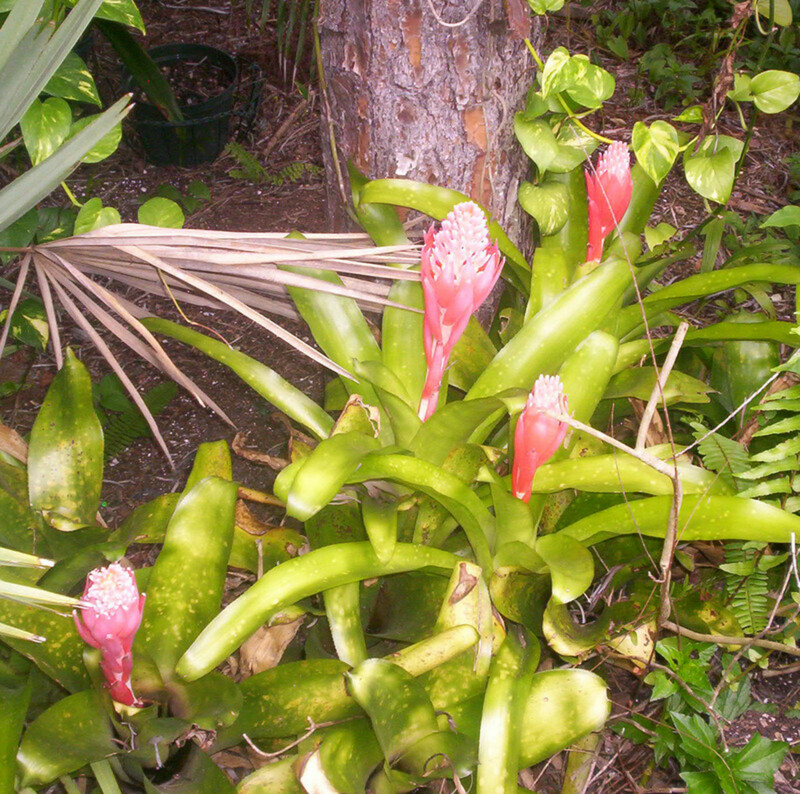 Almost all states have their own Bromeliad Society. These are more Hubs I have written about plants and gardening that you may enjoy reading. A Huge Poinsettia I Received Last Christmas Is Still Growing! I received a huge Poinsettia as a gift this year. We will enjoy it all during the holiday season. The Blue Orchid (Blue Mystique) is not painted, and it is not hybridized. It is blue because of a patented process that infuses white orchids with a special medium. This article is about the largest flower in the world, the Amorphophallus titanium. It is also called the Corpse Plant because of it's bad odor. I show my Cattleya Orchid from bud to full blossom. This is the 9th. year this beautiful purple and lavender orchid has bloomed. This is a great hub about bromeliads. There are so many different varieties and I have about four of them. Great photos too and videos. Hope you are recovering well Mary. Hi, vocalcoach Thanks for the nice compliment on my photos. You can't go wrong planting Bromeliads. It would be nice if you have a friend who already has them growing in their yard so you don't have to buy them. I love Bromedliads because they spread and make more beautiful flowers! Hi, pstraubie48 When I had to give up my home of 35 years, I didn't want to leave my Bromeliads behind, so I called all the neighbors and told them to come and help themselves. They were thrilled. I had so many beauties. Thanks so much for reading, commenting, the votes, the share and the Pin, I appreciate that. Oh, what gorgeous photos! I have just the spot for planting these beautiful Bromeliads. Will wait for April to come around then I'll get to work. I love hubs that introduce me to flowers. Voted up +++ and sharing. Thanks Mary! Beautiful beautiful.. I have shared bromeliads too as they are a favorite of mine. 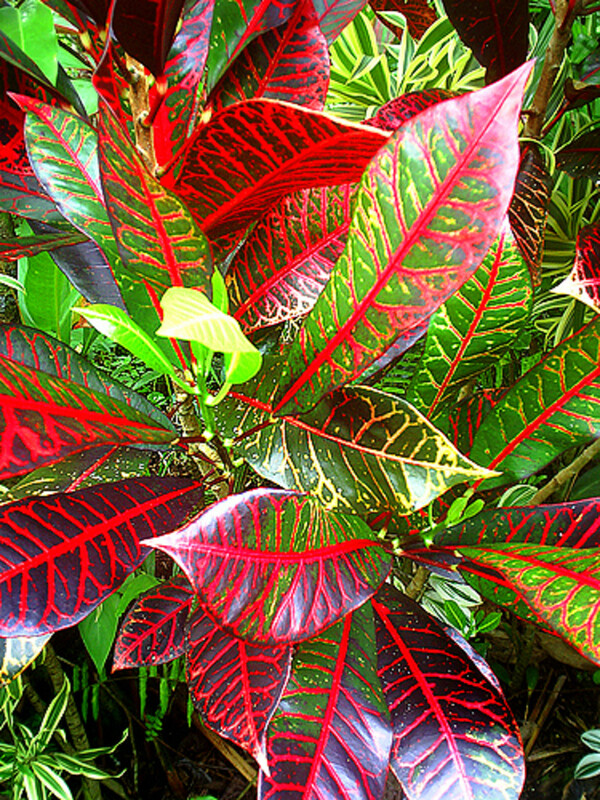 They are such a gorgeous plant...and so many colors and variety make them spectacular. These are just beautiful! I didn't realize there was so many different looking bromeliads! Hi, Au fait Yes, these plants will multiply like crazy, and you find you have many to share with friends. They have such interesting blooms, too. I love them because they are so easy to grow. They require little maintenance. Beautiful photos and great information. I didn't know about these flowers before and they sound easy to raise. Voted this up, BUI, pinned to my 'Pink II' board, posted on FB, and will share. I am so glad I moved my Bromeliads to my new apartment. Thanks so much for thinking of this Hub on the other site. Thanks for Pinning this, too. I hope you and Hubby have a happy Easter! 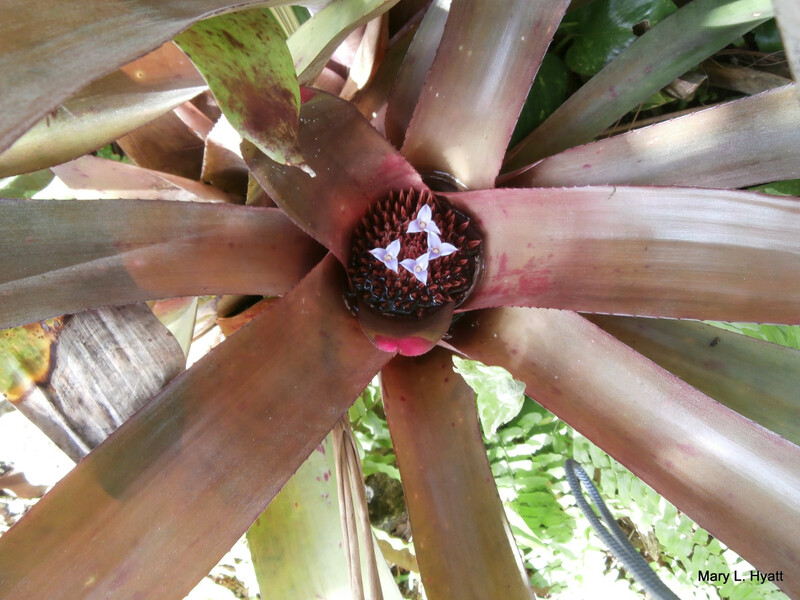 Now you know why I wrote on that other site about seeing bromeliads and reminding me of you. :) Pinning this again to Awesome HubPages this time. Hope you have a wonderful Easter! Hi, prasetio30 I'm happy you like my Hub on Bromeliads. Thanks for such a nice compliment. Hi, Peggy W Yes, the daughter loves flowers and especially the bromeliads! Am sure your daughter is happy to have some of these gorgeous bromeliads now growing at her place. Will share again and also tweet. This is such a good hub with beautiful photos! Hi Thelma Alberts. 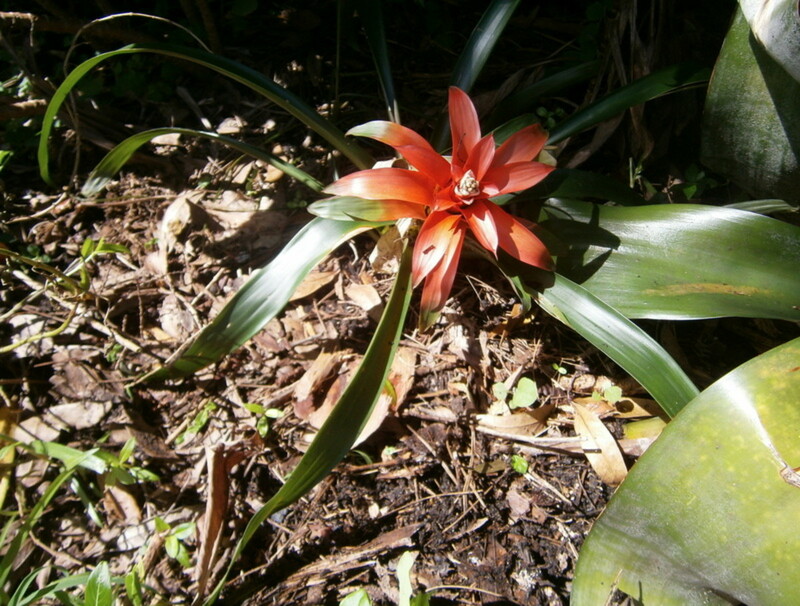 The Bromeliad is one of those plants that once you plant it, you can just forget it. They require no care to speak of. They multiply pretty fast, too. I'm sure the Bromediad would grow very well in the Phillippines, as they are a tropical plant. I do hope you will put some in your beautiful garden. Thanks for reading, commenting, sharing and for the Pin. I do appreciate that. Wow! Those photos are awesome, Mary. I think I have seen this plant in my home country before although I don´t have one in my garden. I would love to have Bromeliad plants. This flower is added to my "to plant" list. Thanks for sharing. Now I know more about them. Voted up, shared and pinned. Hi Peggy W. What a nice thing to do: to come back to share and Pin. Thanks for the compliment on my photos! When I move from my present house I plan to take many of my Bromeliads with me to my daughter's house, and of course I'll share with my neighbors, too. This beautiful hub deserves another share and am going to pin this. Your photos are wonderful! Hi miget38. Oh, yes, finally.....spring is here! Our weather is warm almost year round, but as soon as the ground begins to warm up, the plants all get happy (just like me), and start to grown again. Now that the season of growth is here, this hub is apt. Sharing! Hi Sherry Hewins. Thank you for your nice compliment on my photos. I am going to ask Santa for a better digital camera this year so I could do a better job of photographing my flowers. The photos are beautiful. I'm pinning this one. Hi, anuramkumar. Thanks for reading and for the nice compliment. 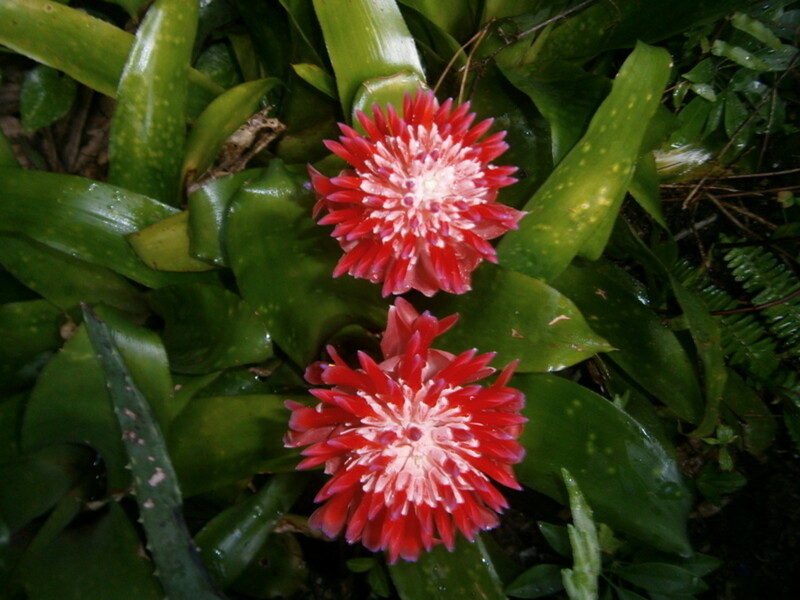 The Bromeliad is truly a beautiful plant and if it is warm in your part of India, I'll bet they would grow there. Wow...these plants look so adorable and lovely. Excellent snaps! Hi, Eddy. Great seeing you today! Bet it's cold where you are, huh? Thanks so much for reading, the votes and the share. Hi, Bumpsymum, So nice to "meet you" here today. I'm glad you do have one Bromeliad and can enjoy it indoors. Oh, my, I don't think I could endure your cold temperature. I complain when we go down in the fiftys! Hi there, Sunnie. Hope you are having a wonderful day. Unless it gets really cold where you live the Bromeliad would probably do just fine. Why don't you get just one to start with and plant it? I'm a great one for picking up stuff on the side of the road that was to thrown away, too. I'd love to know how you do with growing a Bromeliad. Hi Cathy Fidelibus. So nice to see you. 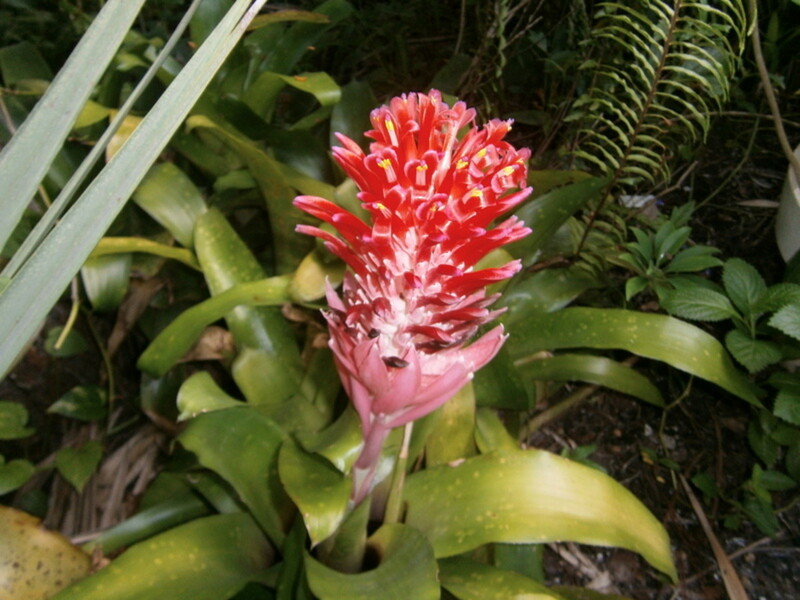 Thanks for reading and I do hope I have inspired you to grow Bromeliads. In your cold climate, you would probably have to grow them in the house until the cold weather leaves. I love Bromeliads, unfortunately our climate is not conducive to raising them out of doors. I don't have a heated greenhouse and little or no window sills. Woe is me, I hear you say? Really, I have just one and it flowers every year but I have to be careful to move it out of the draught in the depth of winter, last year we had -18C for a week and even by the window it was cold! Great Hub though, very informative. Thanks for teaching me about bromeliads, they will be a welcome addition to my home. So beautiful and interesting;I vote across/up/share and save. Take care my friend and have a wonderful weekend. Hi Audrey Howitt. I certainly don't think you would have any problem planting your Bromeliad outside. If they are planted outside, they will multiply like crazy, and you'll have lots to share with others. I am so glad to see that they can grow outside--I have one in a pot that I would like to plant outside--Thanks Mary! Hi, SweetiePie. Yes, Bromeliads are a beautiful and hardy plant. I'll bet in S. California where you live, they would grow round round. You would certainly enjoy them. 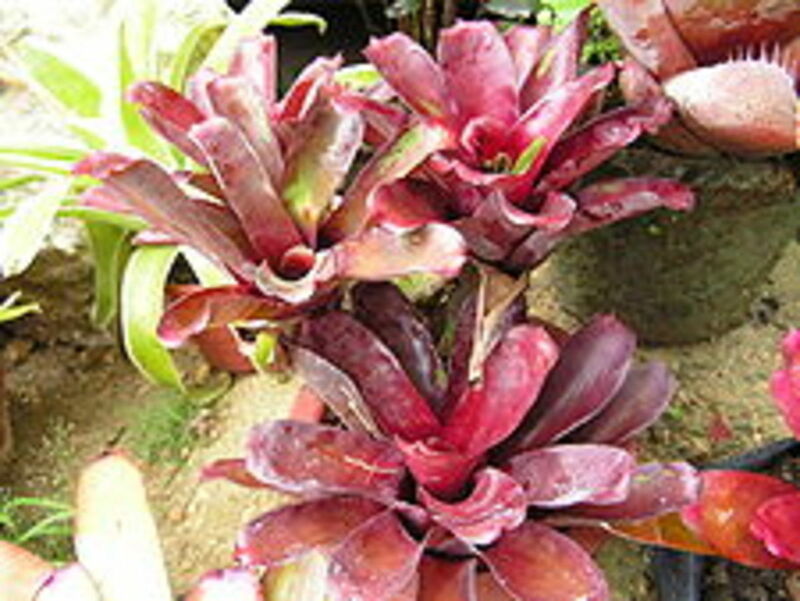 Bromeliads sound like a nice flower to consider growing if you are wondering what to plant. Thanks for sharing! Hi, Sherry Hewins. I would love to go to Maui! I know how much you appreciated the Bromeliad your daughter sent you, and I'm glad you propagated it and have continued to enjoy it. Yes, mine get so thick I share with friends and family. Hi, vespawoolf. I have to agree; people don't appreciate the Bromeliad. I think most folks believe it is difficult to grow because of it's beauty. Oh, I would love to see Bromeliads growing in the tree tops. I have been successful growing them in the palm trees with no soil or medium at all. You could grow these year round outside in S. America, I'll bet! Gardening is my favorite hobby, and I have written other Hubs about my flowers. My daughter visited Maui a few years ago, and while there she stopped at a roadside stand and chose a beautiful Bromeliad. She had it shipped home to me. It came in a long box, when I took it out it magically expanded to it's natural shape. It had a red flower on it, like the one in your photo. The flower lasted many months. The mother plant sprouts a "pup" which you can divide off and repot, by this method I have propagated that original plant many times. What a nice hub on this hardy but under-appreciated plant. We just took a trip to Machu Picchu and we saw lots of bromelaids growing high in the tree tops. I didn't realize they could be grown inside. 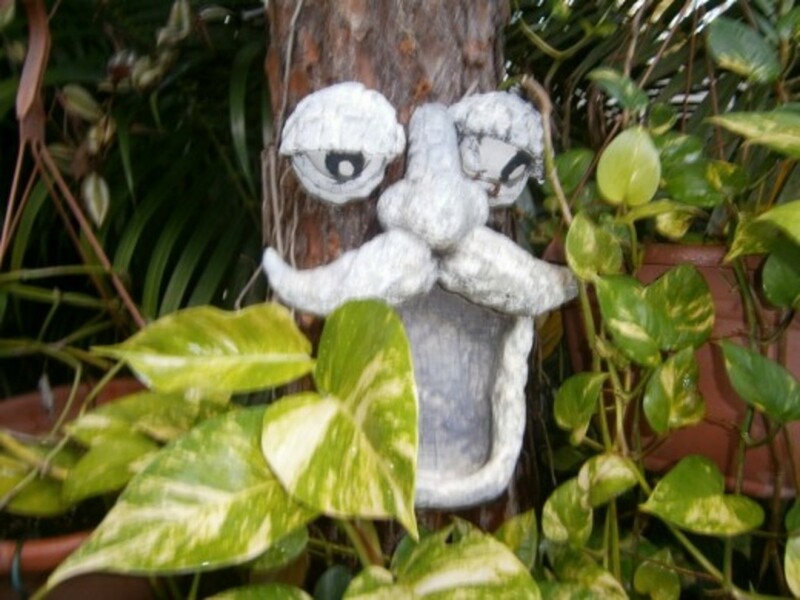 Very interesting and I love the photos of your garden! Voted up and shared. Hi, thumbi. Thanks for the nice compliment on my Bromeliads. Yes, they are such a beautiful plant, and are so easy to grow and enjoy. Thanks for the share, I appreciate that. Hi, alocsin. I hope I have inspired you to grow Bromeliads. May I suggest: go to Home Depot (they always have a good assortment), buy one of a color you like. You will be amazed at how well it will grow and bloom. Living in CA means it will bloom year round! Good luck! These flowers are really beautiful.They have got different shapes and colours. I thought these plants needed a lot of care and were too complex for me but it looks like they're doable. Voting this Up and Useful. SHARED. Hi, Christy. So nice to see you. 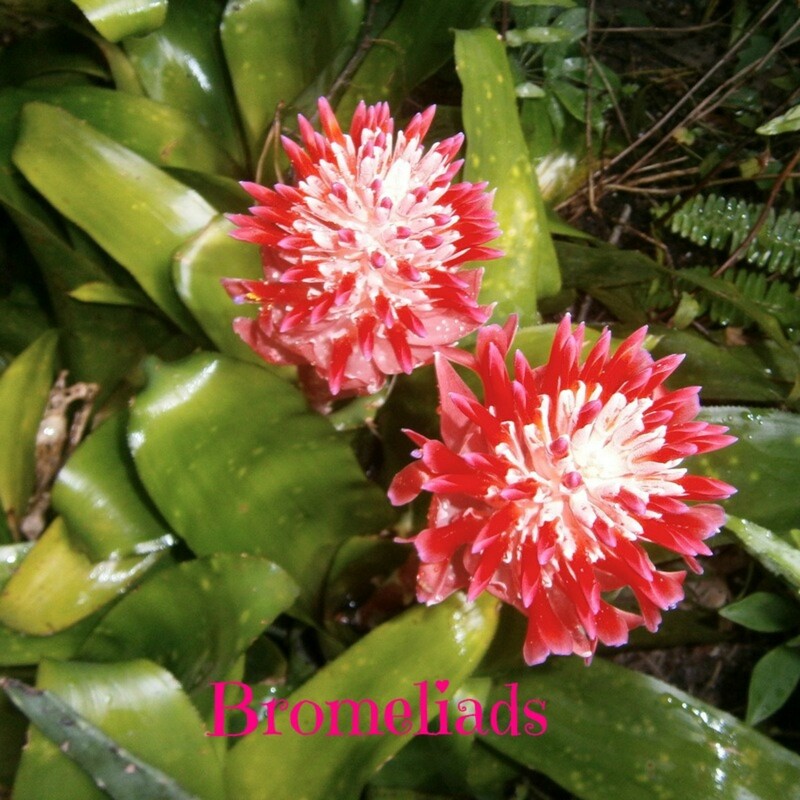 Thanks for reading and commenting on my Hub about Bromeliads. They probably would not grow in Canada, but they certainly are a beautiful plant. I had not heard of this type of flower before either Mary. I like the story behind how you came to acquire the plants. I'm glad you had room in your vehicle for them and could share them with us! Good Morning, unknown spy. Good to see you today! Thanks for reading about my Bromeliads. I'm glad your aunt grows and appreciates the beauty of these plants. Bromeliads...my aunt is really into these flowering plants as well as on orchids. we used to have many plants in our house..very beautiful pics Mary. Hi, teaches12345. I think I do have a "green thumb". I can grow anything I try. You could grow Bromeliads, too. Mary, these are beautiful. You have a green thumb, never should have doubted your ability to keep them growing! Voted up. Hi, dinkan53. So nice to meet you today! Thanks for the nice compliment on my Hub about Bromeliads. They really are a pretty flower. I'm not sure if they grow in India, but I wouldn't be surprised. Beautiful and colourful hub. Such an amazing photos..fresh, original!!! They bring only positive feelings. Thanks for sharing it up. Voted up and beautiful. Good Morning, Movie Master. Good to see you today. Thanks for reading about the Bromeliad. It is a beautiful flower, and my photos don't do them justice. If I had your talent with photography, I could do much better, but thanks for the compliment. Another mystery of HP! I do get email notification on some of my followers, just not all. Thanks for the tip. I don't want to miss any of your great Hubs! I'll have to play "catch up". 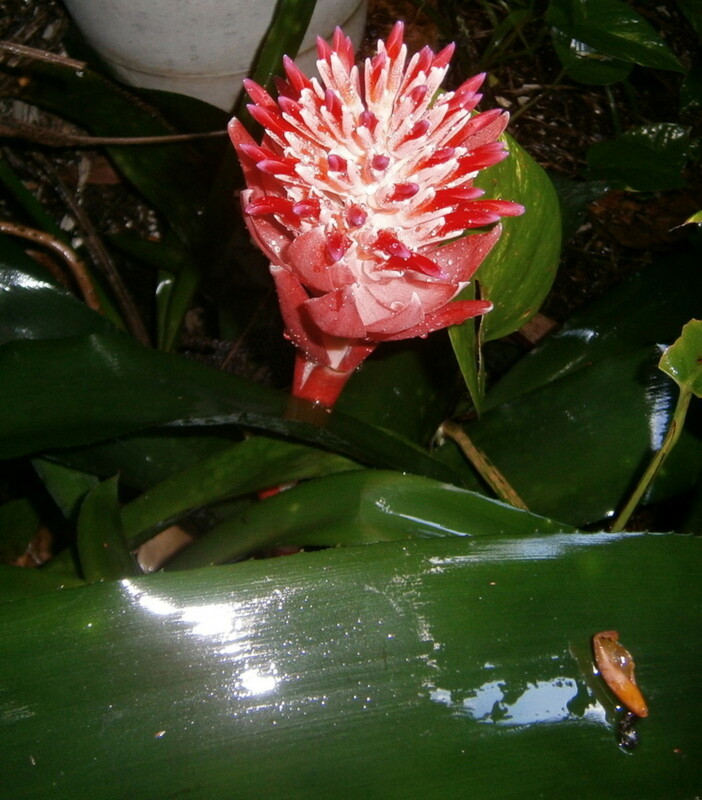 Hi Mary, the Bromeliad is a flower I don't really know - it's beautiful and I enjoyed all your photos and reading your wonderful information on this awesome plant! Since HP stopped sending us emails of when the hubbers we follow publish a new hub, it takes a little longer to find them ourselves. I click on 'Following' on the top of my Hub Statistics page and on the left side of the next page you will see, second category: 'Hubbers you follow.' Click on that and you're in business. Hi, drbj.Yes, I felt pretty good about saving all those Bromediads. I think it is a pretty flower, and I know you could grow them, too. I have not had notice of your new Hubs (if any). Hope I'm not missing anything from you! That was a far, far better thing you did, mary, saving all those poor, orphaned bromeliads. It is a very pretty flower and now thanks to you, I know far, far more about them than I did before. Hi, tillsontitan. It is probably too cold in your area to grow Bromeliads outside; however, you could enjoy one indoors. Check them out in your local garden center. Thanks so much for reading, commenting, and the votes, I appreciate that. Good Morning, midget38. I have to admit, I have a "green thumb". I can put a stick in the ground and it will root! That's the challenge I find in gardening. I do love the Bromeliad; they are so easy to grow. Thanks so much for sharing my Hub. I am leary of growing these beautiful flowers here in the northeast...I don't think they'd survive our winters. I believe they are grown as indoor plants here but I never knew so much about them. 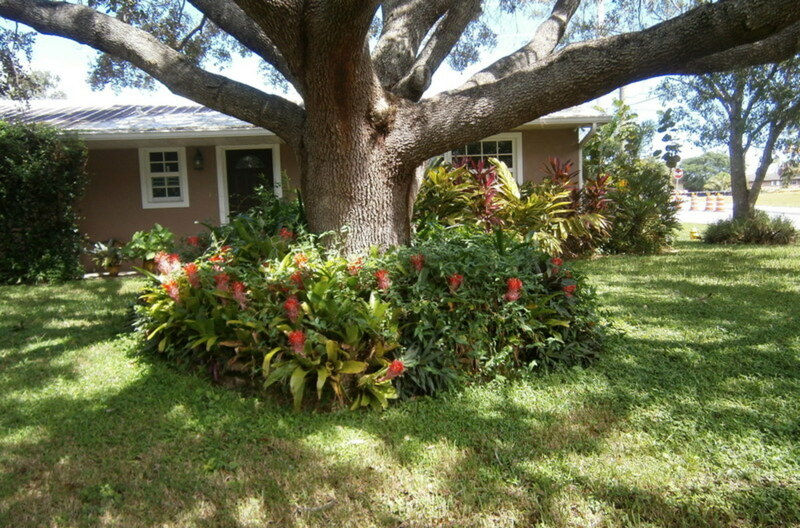 Your photos are beautiful...I found the one with the bromeliads around the tree especially interesting. 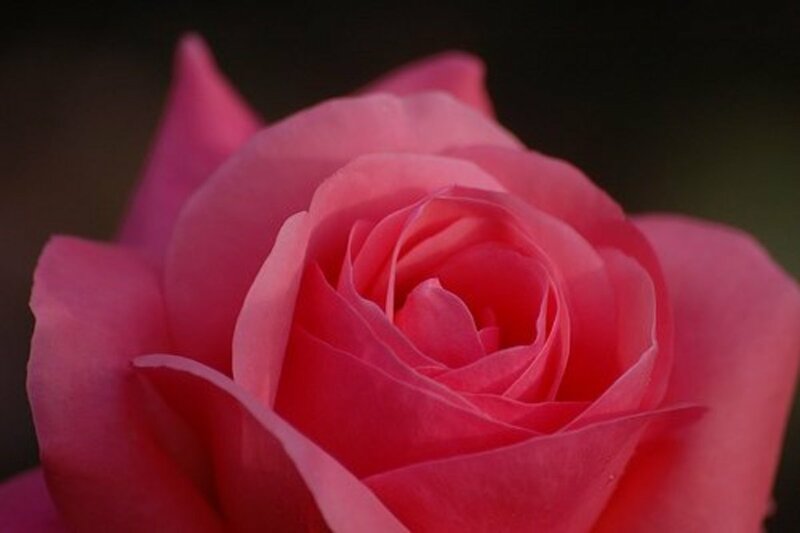 Thanks for sharing this lovely flower. Mary, you show your green fingers again. I wish I could visit, because your yard must be beautiful! Am sharing this socially. Hi Mama Kim. Too bad you can't grow Bromeliads where you live. I should have included the Pineapple in my Hub, but since I've never grown one, I didn't. My friend cuts the top off a pineapple, sticks it in some soil, and next thing you know, she has a pineapple! Thank you for all the beautiful pictures!!! voting up and beautiful! Hi Glimmer Twin Fan, good to see you! I don't know where you live so I can't say if Bromeliads would grow there. Mine don't mind the cold that we get here in S. Fl. but they probably couldn't take bitter cold for a long period of time. Hi Peggy W. Yes, I was lucky to get these free Bromelaids to start my collection. I don't think I would have known to go out and purchase them. With your "green thumb" you could have many, many of these in your garden in no time. Hi rfmoran. How nice to see you today. Thank you so much for your nice compliment on my Hub about Bromedliads. Yes, I do hope you will remember to get some of these next Spring. Hi, Pamela99.I'm glad you are already familiar with the Bromeliad and know how pretty they are. Maybe I have inspired you to get some more now to enjoy! Sadly these don't survive outside where I live. It would probably be too dry inside too. They are beautiful and around the tree they remind me of a tropical vacation! Interesting hub. What a terrific hub about the beautiful bromeliads. How lucky you were to be at the right place at the right time to be able to get all of those bromeliads at no cost. I have never tried growing them but it certainly sounds simple enough. All the up votes except funny and will share. Beautiful plants and fabulous photography. These are on my list for next spring. Hi, Mary, it may seem strange but I had never about bromeliads before, but you are right, they are very beautiful... Loved your photos... Interesting hub, voted up and interesting and thanks for sharing! Take care! The flowers are so pretty and the price was sure right. I grew Bromeliads many years ago when I lived further north. I would like to try them again as yours are lovely. Hi, Faith. I'm happy to have introduced you to the beautiful Bromeliad. Yes they are very easy to grow and very rewarding. Thanks for the nice compliment on my photos and my Hub. I am in NC, so I will, thanks. Hi, Jackie. I live in S. Fl. and it gets pretty cold here in the winter. Even in the 30's my Bromeliads survive. If you like them, buy yourself a plant and just try it out. I'll bet it will do fine. Hi writer20. No, an Orchid is a different plant from a Bromeliad. I love both of them. I believe they would grow fine in Las Vagas. The books say they are tropical plants, but it gets in the 30's here in the winter, and mine do not die; they just don't bloom when it's cold. Hi Natashalh, I'm so glad to hear you love Bromeliads, too. They are a favorite of mine, too. Hi, Janine. I'm glad you like my Hub about Bromeliads. Yes they are so interesting because you can have so many different kinds of blooms on them. Thanks for reading, commenting, the votes, and the shares. Do these flowers need a certain zone to survive the winter? I have seen these and they are very beautiful. I never knew they were so hardy. I'd love some. Great Job! Up & Useful & Interesting! Great wonderful teaching us how to look after the Bromeliads. I truly thought a Bromeliad is an Orchid know I have to check. If they grow happily in Arizona they will grow here in Las Vegas. Voted up useful, awesome and interesting. I have seen these before but had no idea what they were; thank you for the education, Mary! I love bromeliads! They are my favorite type of plant. Thanks for the pictures and advice. Mary, these flowers are absolutely beautiful and loved all the many pictures you shared here showing how the different nuisances of each plant even though it is the same type of plant. Have of course voted, tweeted and shared too!